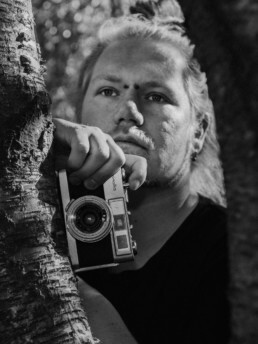 Juuso Haarala (1982) ia a Finnish multi-tasker of photography who has settled in Oulu after the study years. He is originally from small town called Oulainen but have gone around Finland after his studies. He holds a master's degree in Visual Journalism from the University of Tampere and a bachelor's degree from the University of Vaasa in Communication Studies. Photography has a deep and significant role in his life - not only as a profession but also as a form of creation and a channel for self expression. He got excited about the craft nearly twenty years ago, just after high school. In the beginning photography was beloved hobby for him, but after his bachelor’s thesis, when becoming a journalist did not feel like main direction for life, he decided to make his passion a profession. Nowadays, in addition to taking pictures, he also teaches photography.